Year 4 and 5 students from 119 London Primary schools took part in this year’s Count on Us Maths Challenge with the top 15 attending City Hall today to compete in a nail-biting Final. 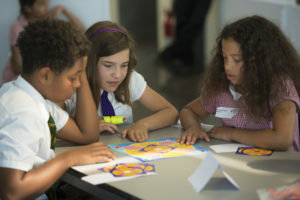 Our budding mathematicians were on awesome form as they tackled challenges that included 24® Card Game, Tangram shape puzzles, Pentominoes and Codebreaking. 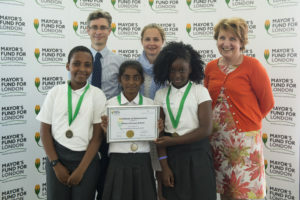 There were exceptional mathematical skills on display but in the end Mayflower Primary School, Tower Hamlets, were crowned the 2018 Count on Us Primary Maths Challenge winners; with Bellenden Primary School, Southwark, taking second place; and Baring Primary School, Lewisham finishing third place. Count on Us is a pan-London numeracy programme that works with schools to help young Londoners reach levels of numeracy that will empower them to meet their full potential, get a decent job and seize opportunities that the capital has to offer. The competition encourages mental arithmetic and problem solving to improve confidence in maths, and ultimately in academic performance, engaging with schools across all 33 London Boroughs.